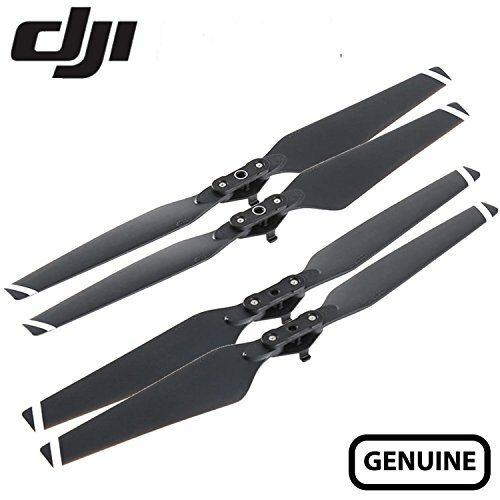 This bundle includes 2 Pairs DJI 8330 Quick Release Folding Propellers for Mavic Drone (2 in each box = 4 propellers total). They are easy-to-fold, powerful thrust, well balanced and manufactured by SZ DJI Baiwang Technology Co., Ltd. affiliated with DJI Group. The DJI Mavic Pro folds down as small as a bottle of water, making it small enough to bring with you everywhere. New OcuSync transmission system offers up to 4.3 miles (7km) of transmission range. Fly at up to 40mph (64kmh) or for as long as 27-minutes.